The Printerverse – November, 2018 – Print Media Centr (PMC) recently expanded the Project Peacock program by taking it beyond the conference room walls of ad agencies and in-house marketing departments and bringing it to screens, everywhere. Project Peacock, a traveling show-and tell created by Deborah Corn, the Intergalactic Ambassador to The Printerverse at Print Media Centr, began in March 2017 with partners Canon Solutions America, Domtar, Scodix and Miralupa. The driving concept behind the program was to share print samples, applications and information to help agencies, brands and corporations understand what is possible with today’s toner based, inkjet and wide format presses, digital finishing, paper and substrates, and marketing technology. Project Peacock Peeks is an educational video series that was shot in pairs on location. The “application” videos provide a platform for partners to connect with viewers, share samples of finished work and drive business to their print service provider customers. The “technology” videos allow print service providers the chance to get a short product demonstration on the products used to create the highlighted applications and the information they need to decide on the right technology for their business without ever leaving their desk or device. Project Peacock Peeks launches with videos from Canon Solutions America, Domtar, Agfa Graphics and Ricoh rolling out over the next few weeks. All videos will be accessible through printmediacentr.com and hosted on Inkish.TV. Inkish.TV shot, directed and edited all of the videos included in this first release. 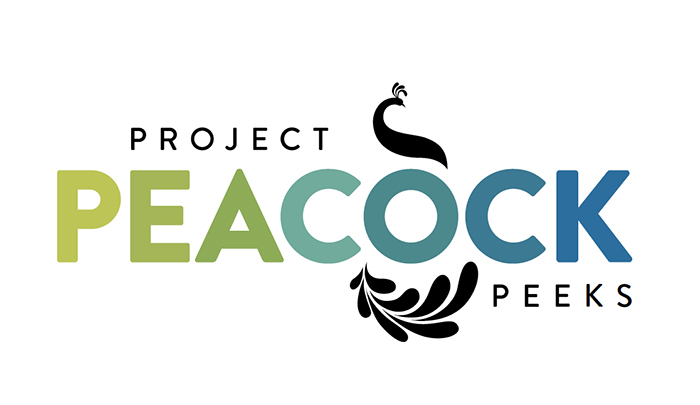 Project Peacock Peeks will continue filming in the U.S. and expand to create global partnerships in 2019. To request a Project Peacock Peeks proposal, please contact deborah @ printmediacentr.com. Connect with PMC here or on social media for information on upcoming Project Peacock Peeks videos, and Project Peacock Print Fair launching in 2019.